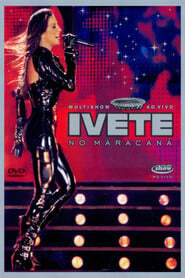 This Ivete Sangalo concert at Rio de Janeiro’s legendary Maracanã Stadium, and the subsequent DVD/CD releases, constituted the year’s main event in Brazilian pop music. Sangalo rose to fame with the axé band Banda Eva, and since 1999 has embarked on an unstoppable solo career, making her the undisputed queen of pop in Brazil in terms of sales and popularity, as well as gathering countless industry and society awards. Accordingly, Sangalo put on a show at the Maracanã that should leave no one envious of the megaconcerts offered in Rio by Madonna, Michael Jackson, and the Rolling Stones. Alternating some of her many hits with new songs or new versions of old material, Sangalo burns through the set with her characteristic enthusiasm and infectious star magnetism, incessantly cheered on by an adoring audience of 55,000. The album has sold over 800,000 copies in Brazil (being certified Diamond), and features the single “Deixo”. Recorded on December 16, 2006.